Heritage XL AR—A wider-cut tab for a unique Heritage look. 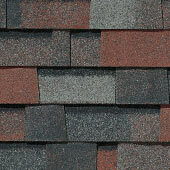 The elegant and dimensional appearance of Heritage Series shingles has captured the attention of homeowners for years. 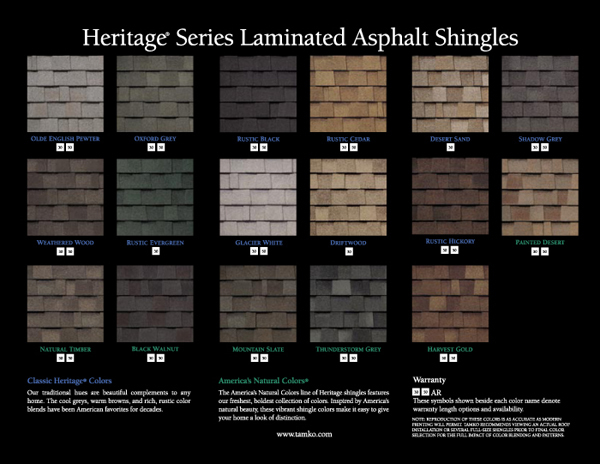 Heritage XL AR shingles offer dimension, beauty, and protection with a unique look. Heritage XL AR shingles feature a wider-cut tab to create an expansive beauty unlike any laminated shingle. These unique laminated shingles feature a double-layer fiberglass mat construction with a wider random-cut sawtooth design. The two layers of mat are coated with asphalt, surfaced with mineral granules, and then laminated together with TAMKO's special asphalt adhesive. A self-sealing strip of asphalt helps provide added wind resistance. Complement your home with the expansive beauty of Heritage XL AR Shingles.